The week began with the currency markets being fairly uneventful – for a change. The Brexit negotiations continue... and with them the ongoing currency market uncertainty, keeping the Pound under pressure and currently hovering at €1.13 and US$1.33 or thereabouts. Positive rhetoric from the Bank of England (BoE) and their decision to keep interest rates on hold prevented the Pound from falling earlier this week, alongside a breakthrough from the Brexit negotiations on key sticking points such as the divorce bill and Irish border. A lack of economic data at the same time left Sterling swimming along and keeping its head above water. This is all in contrast to a strong start to the week for Sterling in the run up to the BoE's announcement, as the Pound received a welcome boost from the latest UK retail sales data, which showed growth is continuing for this key contributor to the British economy, and from UK inflation figures reaching five-year highs. Business confidence in the UK has taken a hit from the Brexit uncertainty, however. 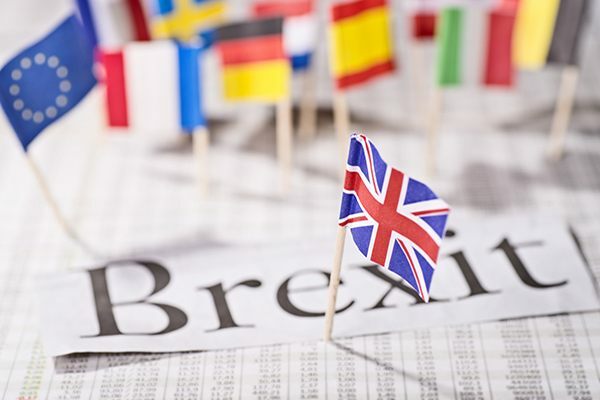 The Director General of the British Chambers of Commerce, Dr Adam Marshall, described Brexit as "lingering over business..." and expressed concerns about the uncertain political and economic climate while the Brexit discussions continue "undermining investment decisions and confidence". While acknowledging UK business's resilience and areas of growth, he warned of slowing growth in the years to come. Naturally, this has not helped the UK currency. Another key central bank meeting last week failed to ignite currency markets, although this was initially expected to have more of an impact than the Bank of England announcements and affect the Euro exchange rate against its major currency partners, the Pound and US Dollar. The European Central Bank (ECB) suggested that there may be stricter monetary policy measures put in place if inflation continues to increase at its current rate, but, surprisingly, this didn't affect the Euro. Even mention of the ECB's intention to hold interest rates until the Quantitative Easing (QE) programme has come to an end did not stir the single currency. Combined with a lack of meaningful economic data for the Eurozone, the Euro continued to coast through the week. Across the Pond, more central bank activity came in the form of the US Federal Reserve and the Bank of Canada. The Federal Reserve increased interest rates to 1.5% - markets expected the US Dollar to strengthen on this news, but instead, quite the opposite happened as markets took the words of the current Federal Reserve Chair Janet Yellen to heart, when she voiced inflationary concerns; and two Federal Open Market Committee members voted to hold interest rates at current levels in light of low inflation. The US Dollar exchange rate fell against all key currencies. Forecasts for inflation and employment in the US were also revised downwards. US employment data was better than anticipated, but, like many countries in the current economic climate, wage growth disappointed. The Canadian Dollar received a boost from the latest Bank of Canada announcement and strong housing data, but its fortunes rest on the Canadian Gross Domestic Product (GDP) to follow. A more cheerful mood for global manufacturing was reflected in Asia, as the Tankan Index increased to the highest for almost a year. Global manufacturing demand remains high and this has led to growth for five consecutive quarters. This boosted the Yen against major currencies, Sterling, the US Dollar and the Euro. New Zealand consumer confidence dropped for the third time in a row and this news boosted the British Pound – New Zealand Dollar exchange rate. News of the new head of the Reserve Bank of New Zealand (RBNZ) from March 2018, Adrian Orr, strengthened the New Zealand Dollar, as he is seen to be well qualified for and prepared to lead New Zealand's central bank through a period of significant change and is well respected amongst the New Zealand business community. The minutes from the latest Reserve Bank of Australia (RBA) meeting released last night show that business confidence has risen a little after falling in Australia last month, where the mood weakened the AUD. Concerns remain over wage growth, inflation and consumer confidence, creating opportunities for Australian Dollar buyers in the current market.